Angeles Times/Inland Empire Coach of the Year for 1992-1993. In 1978 as varsity assistant coach, Mike helped lead the Perris High Panthers to the CIF Class A Championship and in 1980 he was hired as Perris High head coach. 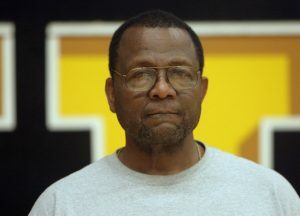 In 1982 he was named the Sunkist League Coach of the year before returning to his alma mater, North High School, to succeed Gene Hughes as head basketball coach. During Mike’s 26-year tenure, North’s Huskies became a perennial basketball power. His teams accumulated 15 Ivy League titles, advanced to the CIF playoffs in 25 of 26 years, earned seven trips to the CIF title game—including six consecutive appearances in 1991-1996, qualified for the state playoffs seven times and won nine Riverside County Rain Cross Championships. In 1994, led by former USC and NFL standout Chris Claiborne, the Huskies reached the Southern California Regional Championship game. Mike was named Ivy League Coach of the Year 13 times, Riverside Country Coach of the Year five times, and the Los Angeles Times/Inland Empire Coach of the Year for 1992-1993.